Welcome to my tour stop for Bread of the Dead, the first book in the Santa Fe Cafe series by Ann Myers. This is a cozy mystery and the tour runs September 28-October 23 with reviews, interviews, guest posts and excerpts. Check out the tour page for the full schedule. The Day of the Dead is approaching in Santa Fe, New Mexico, and cook Rita Lafitte is busy decorating sugar skulls, taste-testing pan de muerto (bread of the dead), and refashioning her post-divorce life. She loves her job at Tres Amigas Cafe and feels like she’s found a good home for herself and her teenage daughter…until her kindly landlord is found dead next door, seemingly from suicide.Although Rita discovers evidence of murder, the police aren’t convinced, especially one of the lead detectives who’s also Rita’s ex-husband. To uncover the truth behind her friend’s death, Rita teams up with her octogenarian boss Flori, the town’s most celebrated snoop. Soon, their investigation encompasses other crimes, including break-ins and the murder of their number-one suspect. Rita won’t feel safe until the killer is caught. But when she unearths a long-buried secret, will she become the next victim? This was my first time reading a book by Ann Myers. I must say her writing style is great and the story flowed really well. This was a great cozy because it left me guessing, even though Ann left subtle clues all the way through the book. I also liked learning about the Day of the Dead which I had never heard of before. I look forward to more by this author. I received a complimentary copy for my honest review. Ann Myers, her husband, and extra-large housecat live in Colorado but, like Rita, feel most at home in Santa Fe. Prizing is provided by the publisher, hosts are not responsible. 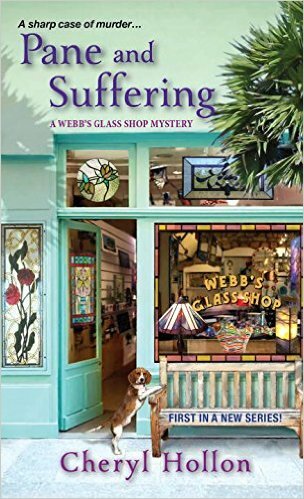 To solve her father’s murder and save the family-owned glass shop, Savannah Webb must shatter a killer’s carefully constructed façade. . .
After Savannah’s father dies unexpectedly of a heart attack, she drops everything to return home to St. Petersburg, Florida, to settle his affairs–including the fate of the beloved, family-owned glass shop. Savannah intends to hand over ownership to her father’s trusted assistant and fellow glass expert, Hugh Trevor, but soon discovers the master craftsman also dead of an apparent heart attack. As if the coincidence of the two deaths wasn’t suspicious enough, Savannah discovers a note her father left for her in his shop, warning her that she is in danger. With the local police unconvinced, it’s up to Savannah to piece together the encoded clues left behind by her father. And when her father’s apprentice is accused of the murders, Savannah is more desperate than ever to crack the case before the killer seizes a window of opportunity to cut her out of the picture. . . This is the first book in a new series that I think has a lot of potential. I like the setting of a shop that specializes in stained glass and also offers classes on how to make stained glass ornaments. I thought this book had a great mystery and kept me guessing. There were also many quirky characters that kept it really interesting. I was guessing up until the very end. I also liked that Savannah's father was a cryptographer and he left clues and ciphers about the murders for her to find. I look forward to the next in this series. 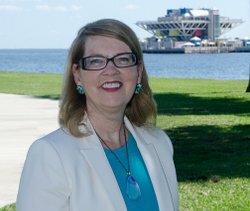 Cheryl Hollon now writes full-time after she left an engineering career of designing and building military flight simulators in amazing countries such as England, Wales, Australia, Singapore, Taiwan, and India. Fulfilling the dream of a lifetime, she combines her love of writing with a passion for creating glass art. In the small glass studio behind her house in St. Petersburg, Florida, Cheryl and her husband design, create, and produce fused glass, stained glass, and painted glass artworks. Visit her online at http://cherylhollon.com, on Facebook or on Twitter @CherylHollon. Chloe Ellefson and her sister, Kari, have long dreamed of visiting each historic site dedicated to Laura Ingalls Wilder. When Chloe takes custody of a quilt once owned by the beloved author, the sisters set out on the trip of a lifetime, hoping to prove that Wilder stitched it herself. But death strikes as the journey begins, and trouble stalks their fellow travelers. Among the “Little House” devotees are academic critics, greedy collectors, and obsessive fans. Kari is distracted by family problems, and unexpected news from Chloe’s boyfriend jeopardizes her own future. As the sisters travel deeper into Wilder territory, Chloe races to discover the truth about a precious artifact—and her own heart—before a killer can strike again. Well I loved the Little House books when I was a youngster, so I was excited about this one. This is the first Chloe Ellefson story I have had experience with and I was impressed. 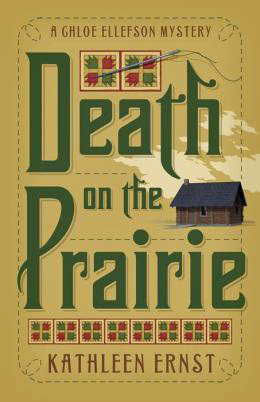 I enjoyed the writing and all the information about Laura Ingalls Wilder. I definitely am going to check out more of these books, if not for the great mystery, for the great information they give on historical sites. The mystery was great and this was a fast paced book. Good job Kathleen. 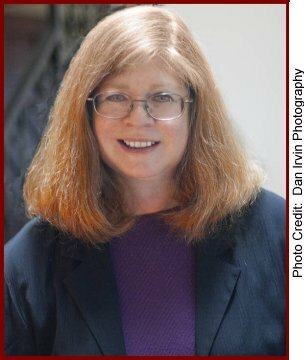 Kathleen Ernst is a former museum curator who remains passionate about history! In addition to the Chloe Ellefson Historic Sites series, she has written many books for American Girl, including nine about the historical character she created, Caroline Abbott. Over 1.5 million copies of Kathleen’s 33 titles have been sold. 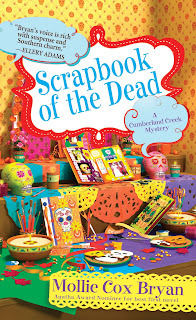 The Chloe series has earned a LOVEY Award for Best Traditional Mystery, and several of her mysteries for young readers have been finalists for Edgar or Agatha awards. THERE IS GOING TO BE ONE PRINT COPY OF THIS BOOK GIVEN AWAY, LEAVE A COMMENT ABOUT WHY YOUR LOVE LAURA INGALLS WILDER AND/OR LITTLE HOUSE ON THE PRAIRIE WITH YOUR EMAIL, NO EMAIL NO ENTRY. This was the first Superstition Mystery by Linda Johnston that I have read. I really enjoy Linda's stories and this one didn't disappoint. I learned a lot of new superstitions that I had never heard of before. I am not one to really believe in superstitions, but it was nice reading about a town that all about superstitions. Of course the writing in this novel was superb with many twists and turns. I liked the relationships in this novel also. This one had me guessing till the end, which is what I like about a cozy mystery. Last time I visited Melina's Book Blog was in May of this year, when I was on a blog tour to promote my first Barkery & Biscuits Mystery, BITE THE BISCUIT. 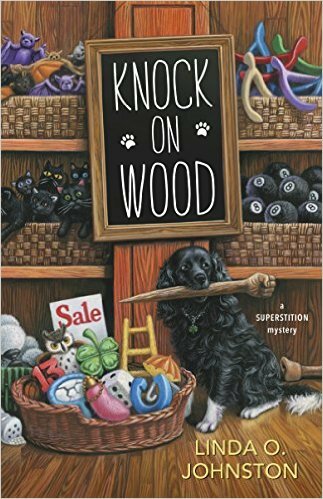 Now I'm back since my second Superstition Mystery, KNOCK ON WOOD, has just been published. In my May post, I talked about cozy mysteries in general--what constitutes a cozy. One thing I mentioned was that nearly all cozy series contain a theme. Or more than one. Those themes can be anything from cooking to crafts to paranormal to pets. They can be historical or contemporary, holiday-themed or travel-themed. In fact, the themes can be nearly anything that people find fun and important. You won't be surprised if I use my own series as examples. All of my mysteries contain pets, primarily dogs, no matter what the additional themes may be. In my Superstition Mysteries, superstitions are one important theme, but so are pets. In the first one, LOST UNDER A LADDER, my protagonist Rory Chasen came to the town of Destiny, California, which is all about superstitions, to find out if they're real or not since her fiance died after walking under a ladder. With her is her spaniel-terrier mix Pluckie, whom she learns is quite lucky, particularly since she is black and white. 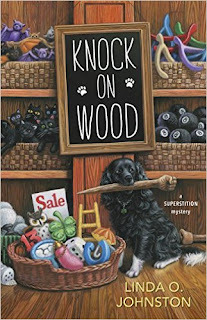 Pluckie saves the life of the owner of the Lucky Dog Boutique, and Rory is soon hired to be its manager--thus continuing both themes into later books including KNOCK ON WOOD. In my Barkery & Biscuits mysteries, the protagonist Carrie Kennersly buys a bakery from a friend who has to leave town and converts half of it into a barkery--where she bakes and sells some of the healthy dog treats she developed in her other career as a veterinary technician. Thus, the themes are both culinary and pet-oriented. I also wrote two other series before, the Kendra Ballantyne, Pet-Sitter Mysteries and its spinoff, the Pet Rescue Mysteries. Again, the themes revolved around pets. Different animals were featured in each of the Kendra books--although her tricolor Cavalier King Charles Spaniel Lexie, who coincidentally has the same name as my older Cavalier, also a tricolor--of course appears in all of them. And each of the Pet Rescue Mysteries has a separate underlying theme involved in--what else?--pet rescue. Do you consciously consider a cozy's theme before you pick it up? Are there some themes you prefer over others, or some you don't particularly care for? And of course don't forget the true theme that every cozy contains: an amateur (usually) sleuth who is (usually) dragged out of her element to solve a murder or two. 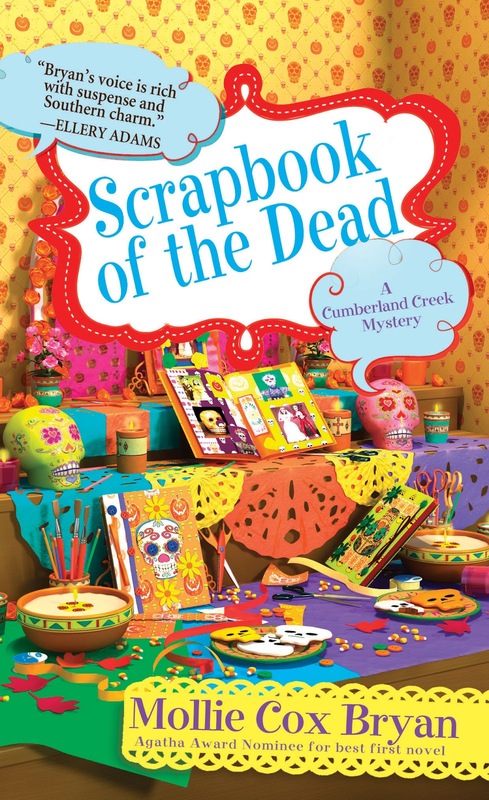 Halloween means spooky scrapbooks for the Cumberland Creek Scrapbook Crop, but what’s been happening around town is truly frightening. First a dead woman is found in the freezer at Pamela’s Pie Palace, and the next day a second woman is found murdered by the river. Reporter Annie Chamovitz learns the victims were sisters and is certain their deaths are linked. Most bizarre of all, both women were found clutching scrapbook pages. As their Saturday night crop quickly becomes an opportunity to puzzle out the murders, the ladies begin to wonder if Pamela is hiding more than her secret recipes for delicious pies–or if the crimes are related to the startling discovery that there are gangs in Cumberland Creek. As All Hallows Eve approaches, the crafty croppers must cut and paste the clues to unmask a deadly killer. Includes tips and a glossary of terms for the modern scrapbooker! As with the other books in this series that I have read, I found this one enjoyable. I like how there are a group of friends trying to solve the mystery. Having more than one perspective of a murder is refreshing instead of just seeing how one person perceives the murder. I really enjoy visiting Cumberland Creek, for such a small town, there sure is a lot going on. The same great supporting cast makes appearances in this installment of the series, making for even more interesting reading. Looking forward to more in this series. 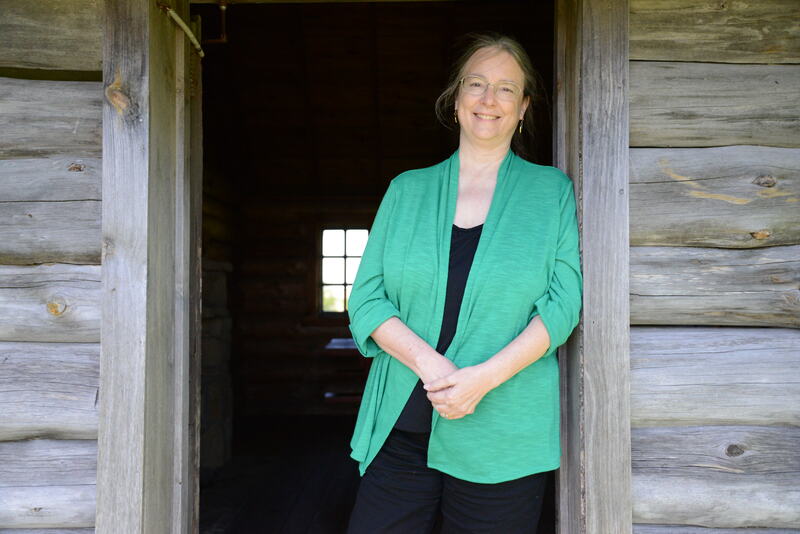 About The Author – In addition to the Cumberland Creek mystery series, Mollie Cox Bryan wrote the regional bestseller Mrs. Rowe’s Little Book of Southern Pies and Mrs. Rowe’s Restaurant Cookbook: A Lifetime of Recipes from the Shenandoah Valley . 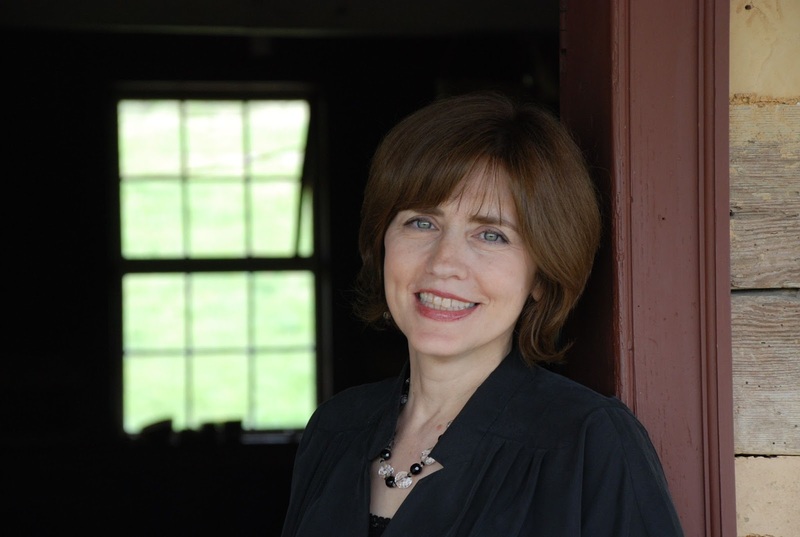 An award-winning journalist and poet, she currently blogs, cooks, and scrapbooks in the Shenandoah Valley of Virginia with her husband and two daughters. Scrapbook of Secrets was nominated for an Agatha Award for Best First Novel. Check in for some Southern hospitality in Plantation Shudders, the Cajun Country series debut from Ellen Byron. It’s the end of the summer and Prodigal Daughter Maggie Crozat has returned home to her family’s plantation-turned-bed-and-breakfast in Louisiana. The Crozats have an inn full of guests for the local food festival–elderly honeymooners, the Cajun Cuties, a mysterious stranger from Texas, a couple of hipster lovebirds, and a trio of Georgia frat boys. But when the elderly couple keels over dead within minutes of each other–one from very unnatural causes– Maggie and the others suddenly become suspects in a murder. With the help of Bo Durant, the town’s handsome new detective, Maggie must investigate to clear her name while holding the family business together at the same time. And the deeper she digs, the more she wonders: are all of the guests really there for a vacation or do they have ulterior motives? Decades-old secrets and stunning revelations abound in Ellen Byron’s charming cozy debut, Plantation Shudders. I enjoyed this book from the time I picked it up. I enjoy reading about Bayou country in Louisiana and this had all the culture of that area down to a tee. The writing was superb and the book flowed really well. I would love to visit a plantation like Crozat, it seems so charming. This was a great cozy because it kept me guessing to the very end. There are a lot of twists and turns in this book that kept me turning the pages. I look forward to more in the Cajun Country Series. Great job,Ellen. Byron is a native New Yorker who loves the rain, lives in bone-dry Los Angeles, and spends lots of time writing about Louisiana. She attributes this obsession to her college years at New Orleans’ Tulane University. 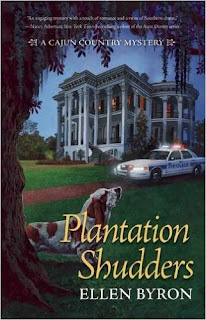 Her debut novel, Plantation Shudders: A Cajun Country Mystery, launches on August 11th. Her TV credits include Wings, Just Shoot Me, and many network pilots. She’s written over 200 magazine articles, and her published plays include the award-winning, Graceland. She is also the recipient of a William F. Deeck-Malice Domestic Grant. She’s the proud mom of a fifteen year-old daughter and two very spoiled rescue dogs. You’d think transitioning from writing snappy TV comebacks for actors like Tim Daly and Stephen Weber to creating murderous scenarios in the bayous of Louisiana would be tough. Oddly, it wasn’t. I fell in love with mysteries the summer before ninth grade. I was commuting from the suburbs to Manhattan for a six-week program at the American Academy of Dramatic Arts, and needed books to read on the train. I don’t remember how, but I discovered Agatha Christie, and by the end of the summer I’d read almost everything she’d written. It never occurred to me that I could actually write a mystery. I dipped a toe in those waters when I was pregnant with my now-fifteen-year-old daughter. 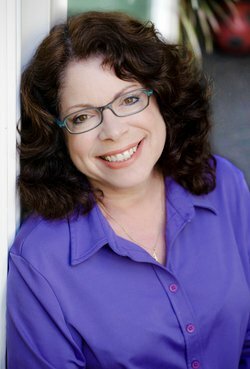 As a perk for teaching in the UCLA Extension Writers’ Program, I got to take a class for free, and chose one taught by the wonderful mystery author, Jerrilyn Farmer. I was motivated by rage. Another writer had backstabbed me and I wanted to kill him! Since I couldn’t murder in real life, I decided to do it on paper. But to be honest, what I wrote for that class stank. I tossed it out and stuck to TV. But about three years ago, a friend started a small writers group and asked me to join. By then my “theatre voice” had turned from a whisper into a yell. I didn’t have any brilliant ideas for a new play, so I decide to take another stab (nice word choice, given the subject matter) at writing a mystery. I fell in love with Cajun Country when I was a student at Tulane University, so I immediately gravitated toward the region as a setting for my book, Plantation Shudders. I created the picturesque village of Pelican, Louisiana – town motto, “Yes, we Peli-CAN!”- and peopled it with a cast of quirky, likeable characters, including protagonist Maggie Crozat, a thirty-two year old artist who’s a little embarrassed that she’s still trying to find herself. I invented two plantations, one a state historical site, the other Maggie’s family’s ancestral home-turned-B&B, and I added the puzzle of a few murders. These days, I balance a day job pitching jokes and stories for an animated series with writing my Cajun Country mysteries. I’m able to switch gears because I’m totally committed to whichever I happen to be writing at that time. For the first time in years, I get to tap into both my TV and theatre voices. I work days, nights, and weekends. And I’ve never been happier.